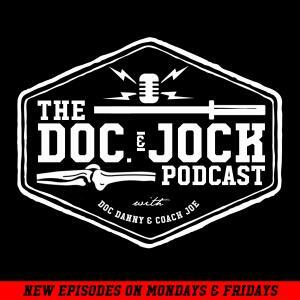 The Business of Fitness is the topic of the day on Episode 176 of the Doc and Jock Podcast. Doc Danny and Coach Joe are both successful small business owners in the fitness space so on this episode they sit down to give some advice based on their experience. We hope you enjoy this one gang. If you have any more specific questions for us relating to running a fitness business please feel free to reach out at info@docandjock.com.